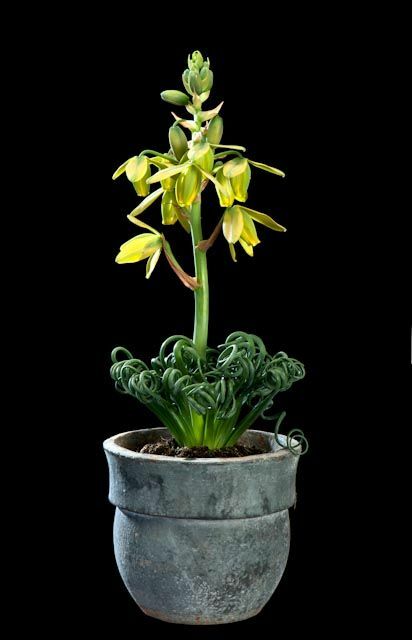 The Spiral albuca plant is a super succulent native to Southern Africa, commonly known as the “Corkscrew albuca” or the “Frizzle Sizzle”. Quite unique in stature, this mat-forming, deciduous succulent is a true gem with mounds and mounds of curled, corkscrew, bright green leaves. Come the winter and you are in for a treat – pendulous raceames of bright yellow and green flowers are held upright on a fleshy central flower spike, these appear in late winter time and continue through into early spring. 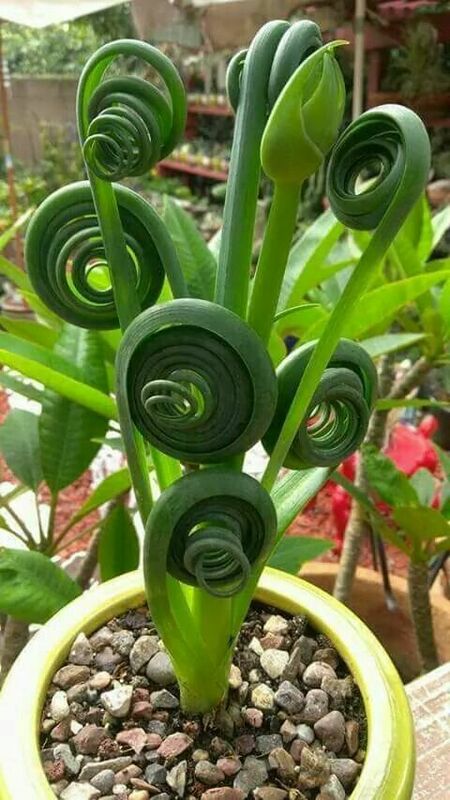 The Spiral Albuca is a really crazy-looking, tropical plant which is easy to care for and one not to be forgotten. Perfect if you are looking for a spectacular smaller plant, as these rarely grow above 20 cm tall. Today, I am going to talk about how to grow this wonderful succulent from seed, how to care for it and just a little bit about it’s native environment. 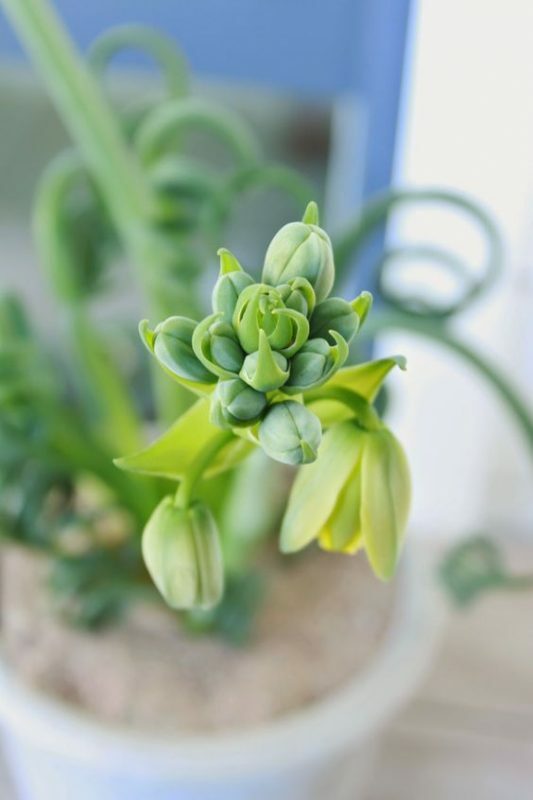 A complete guide on how to make your “Albuca spiralis”, in it’s full botanical name, a very happy plant. There are over 100 plants within the Albuca genus, most of these originate from Southern Africa where they are found growing in dry areas of grassland, woodland and scrubland. 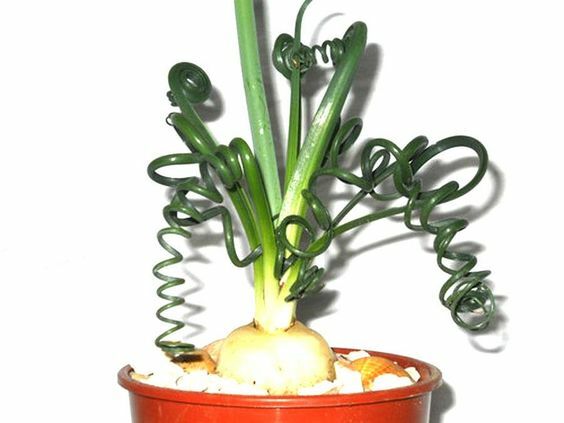 This is actually a winter-growing perennial bulb, which lays dormant in the summer time and awakens in the winter to produce it’s mounds of tough, curly leaves. Initially, the leaves grow straight but curl as the plant matures. These succulent spiral leaves are shortly followed by an erect flower spike of sweet-scented, helicopter shaped flowers until mid-springtime. In late springtime the foliage dies back and the bulb lays dormant again until the following Autumn, preparing for the winter show. Natively, these succulent plant species are not found in great colonies, normally growing alone or just a few together. They are used to heavy African rains accompanied by very bright sunshine and extreme warmth. In our home enviroment, we can try to replicate these conditions on a lesser scale, but growth will be a touch slower than in the wild. A really important part of growing the Albuca, and pretty much all of the cacti and succulent families, is that the compost mix has got be free-draining. This means that water can flow into, and out of the growing medium easily. After many early disasters, I found the worst thing you can do to any succulent is to drown their roots and starve them of oxygen. In short, they will rot and die…..this is not what you want. A perfect free-draining mix for these would be sold in your local Garden Centre as a Cacti compost or African Violet compost mix. These will have a high percentage of sand, gravel or vermiculite incorporated. Both of these composts are suitable, or you could check out my post on “Making the Best Potting Compost” which will be on the website soon with my own personal recipe. I make this en mass in a cement mixer, but not everyone will have one of them to hand, so a big bucket will do! The seeds of your “Albuca spiralis” need to sown quite deep at around 5 – 8 cm in your specialised compost mix. Ensure you have adequate space in your pot for germination to take place and allow for further growing. 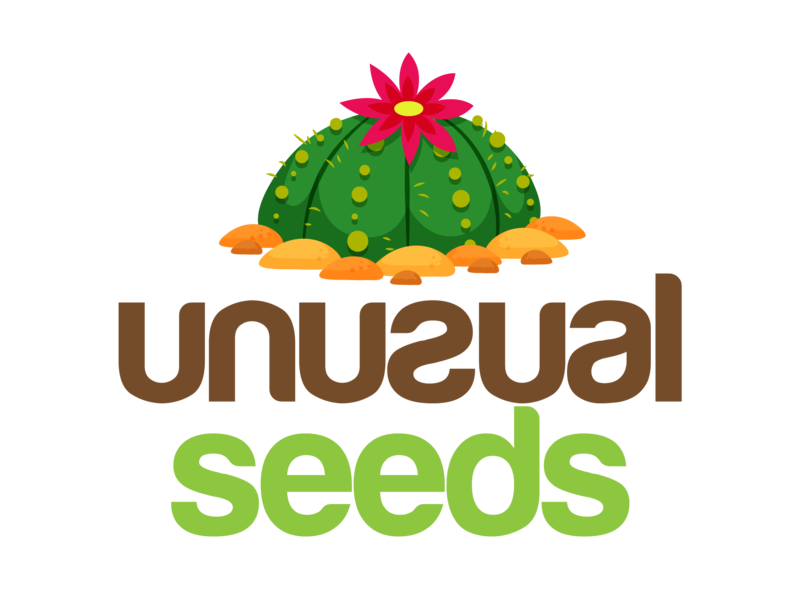 I would recommend planting your seeds at any point in the year and placing them outside in a cool spot with filtered sun light. At maturity, these plants are frost hardy to around -7 C, and for germination to take place, your seeds need to go through the cold winter to instigate germination. Once germinated, transplant your seedlings to individual pots to grow on. Water your Albuca spiralis throughout the Winter, (when it is in growth mode), every week when the soil is dry to the touch. 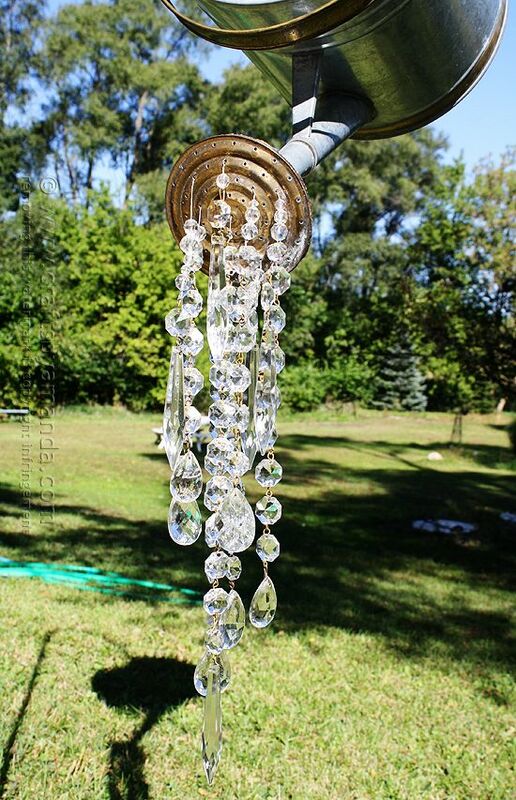 It is much better to water your plant well, then let it completely dry out, until you water it again. This is when the free-draining compost does it’s best work – any excess water will drain through the soil and away from the plant roots. Perfect for these succulent varieties. When the plant is in dormancy, you can hold back on the watering regime. Your Albuca will need to be fed throughout the growing season with a balanced diluted liquid feed, around once a month. Ensure that your plant is slightly wet before you feed it. Remember that the growing season for this particular species is throughout the Winter and not the Summer time. When dormancy occurs in late spring, there is no need to carry on feeding your plant. When the following Winter comes around, continue to feed again for that season. Your Albuca will need to be placed in a full or part-sun position, ideal to that of a south-facing aspect. They also need a sheltered spot, away from draughts, radiators, windows and the like. Filtered sunlight is also acceptable. The sun plays a large part in making the leaves curly, the more sun – the more curls. Beware that very hot, direct sunlight can scorch the Albuca leaves. Should this happen, place your Albuca in a position with filtered sunlight to avoid this happening again. 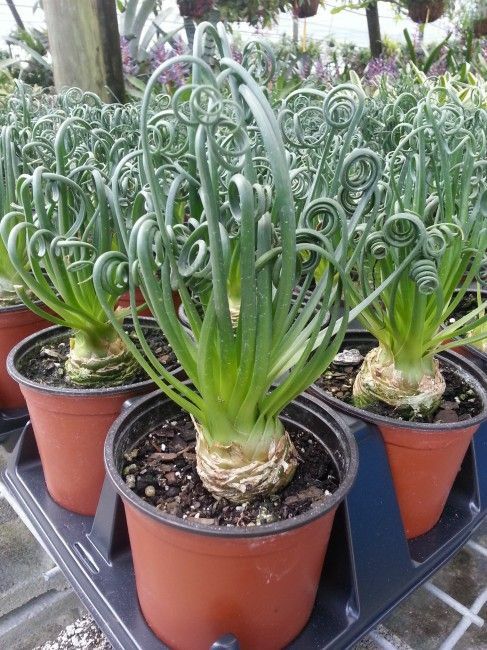 The good news is that the Albuca spiralis has no particular issues with pest or disease problems. Degree level horticulturalist and freelance writer with experience in the Home and Garden sector.